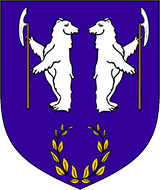 Welcome to Bjornsborg, Land of the Argent Bear! 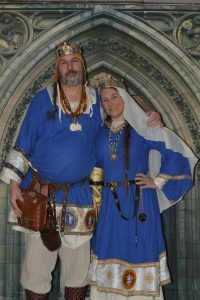 The members of Bjornsborg are a varied and diverse group of people, who invite you to join us in the Current Middle Ages. With so much to offer in our home, we are confident you will find an area that interests you. As Baron and Baroness of these bountiful lands, we would be honored by your presence. We welcome each and every member of the Barony by extending a heartfelt invitation to you to join us at weekly fighting practices, an arts and sciences class, or an event in the very near future. Please do not hesitate to come and meet us and our populace, or email at the email addresses below if you have any questions.